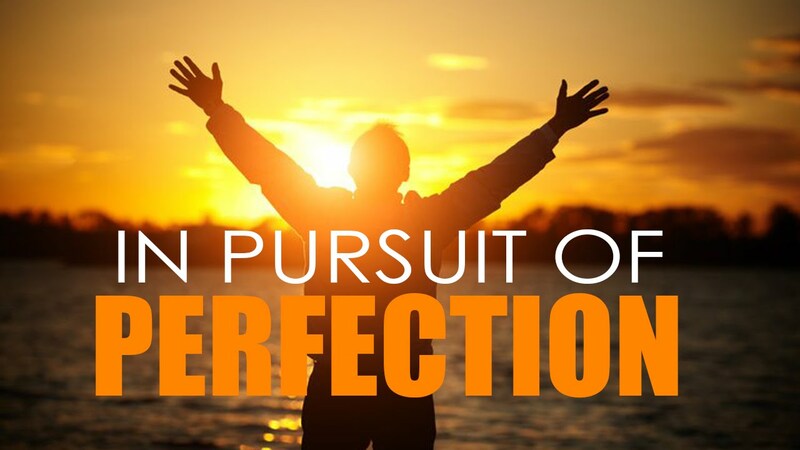 Why You Should Stop Chasing Perfection and What to Do Instead. In existence, who amongst men have attained perfection? If you haven’t thought about that question before, I suggest that you give it a minute or more; especially if you are one of those called perfectionists. Even if you don’t think that you are a perfectionist – because most people won’t agree that they are – this will help you understand the myth of perfectionism with regards to achieving your goals or purpose in life. You see, the truth is you don’t have to be perfect to succeed in life because history is made up of imperfect men whose achievements still hold the world in awe. Benjamin Franklin the world’s most influential advocate for self-improvement, was a womanizer as reported by The Chicago Tribune. It was even said that he fathered a son out of wedlock, but Franklin’s lust didn’t destroy his impact because he recognized his problem and admitted it. Albert Einstein was also an imperfect man despite possessing a great I.Q. Einstein lacked a relational discipline causing him to divorce after ten years of marriage to marry his cousin – Elsa. He admitted that he couldn’t be a perfect husband even though it was his wish but it didn’t deter him from succeeding in other areas of his life. Let me say again, you do not have to be perfect to do great things, achieve your purpose or succeed at anything in life – you only have to be good enough because perfection is a myth. So Why do Men Chase Perfection? Perfection is an idealist point of view to life where we build a world in our imagination and want it realized. We want to please everyone so that we become likeable. We want wealth, good health, peace, less stress and all the good things of life with ease. We want to be the one who knows it all. We want everything at home to be spanking clean, in short, we want to be an example of a perfect gentleman or lady. Wake up my friend, you will never be perfect and you don’t have to be to achieve greatness in life. No. Walt Disney was brilliant but he smoked too much and we could say that was his imperfection. Yet, these men achieved greatness. I do not mean that men should not strive to be better at every area of their lives, and neither do I mean that bad habits should be harboured. I am only saying that while we go about our journey in life, we should not focus all our energies on trying to be perfect or waiting for the perfect time before attempting to do great things. Stop trying to be perfect because the brutal truth is that you will never attain perfection – not in this life, but you will be good enough and can even be great. Focus instead on perseverance and let nothing beat you on your journey to greatness. If you admit your weaknesses and commit to your goals in life, you will also achieve greatness like every imperfect man who has been great. This is another great nugget from a “trusted” source. Every point made here is indisputable and will seize this moment to thank Snr Oluyede for making this platform available to the world. everything is possible, provided you don;t give up or lose your dreams. I think back to the days of Tiscali Broadband sales, then to the next thing, and the next, and then next, then something better, stronger, richer and awesome. Thank you for the kind words, Debo. We shall keep going forward. Thank you, Felix. I appreciate you. wow… great one. Am so happy to ready (learn from your feet sir, and I will love to get to know you better in person sir ) am kish. Follow me on these social media platforms. Copyright 2019 Mayowa Oluyede. All Rights Reserved.